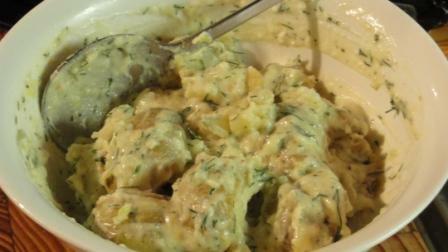 Anyone can make a potato salad, and I do not need to tell you how. I can however, give you some good tips and the recipe for the perfect and easy to make mayonnaise to go with it. This recipe features in Lavender & Lime. I should have patented the method for the stick blender when I came up with it in the early 1990’s. Since then I have seen this method on many other blogs. What a nice recipe – good summer salad! Have a fine weekend, hope you enjoy Braai Day.